"You've really found your purpose in this teaching thing!" A native of Fort Worth, TX, Lamon Lawhorn graduated from Eastern Hills HS where he now has a percussion award named in his honor. He received his Bachelor of Music Degree in Music Education from Prairie View A&M University, where he studied under Professor Larry Jones. While at Prairie View, Lamon was a member of the Marching Band known as the “Marching Storm”, Principal Percussionist in the University Symphonic Band, Principal Percussionist in the University Marimba Ensemble, and also served as Student Conductor for the University Symphonic Band. Upon graduation, Lamon attended the University of Mississippi, where he received his Master of Music Degree in Percussion Performance and was a Percussion Graduate student of Professor Ricky Burkhead. While at Ole Miss, he was the Principal Percussionist in the UM Wind Ensemble, and Drummer for the “Mississippians” Jazz Ensemble. In 2008, he won the UM Department of Music Concerto Competition with his performance of Paul Creston’s Concerto for Marimba and Orchestra becoming the first African-American and percussionist to win the competition. Under the direction of Dr. Kris Keeton, Lamon received his Doctor of Musical Arts degree from the University of North Carolina at Greensboro in Percussion Performance, where his dissertation was entitled, "The Evolution of Contemporary Gospel Drumming." Additional teachers throughout his schooling include Dr. Neeraj Mehta, Dr. Eric Willie, Dr. David Carlisle, and Bruce Graves. As a classical musician, Lamon has performed in various orchestral venues including Principal Percussionist for the L-O-U Symphony Orchestra, Corinth Symphony Orchestra, Greensboro Symphony Orchestra, served as Artist in Residence at the FWISD Creative and Performing Arts Summer Music Camp, and performed in various theatre productions including "Cats", "Footloose," "Into the Woods" and many more. In addition to his orchestral experience, Lamon has performed with recording artist Matt MaGill, “Howlin’ Madd” Bill Perry, R.A. Hall, The Damnwells, toured with the Inner City All-Stars Brass Band, and the George Tisdale Band as a drum set artist. Active within the Percussive Arts Society, Lamon serves as secretary and member of the Drum Set Committee. Lamon is a sought after clinician and adjudicator in drum set, marching and percussion ensemble performances. 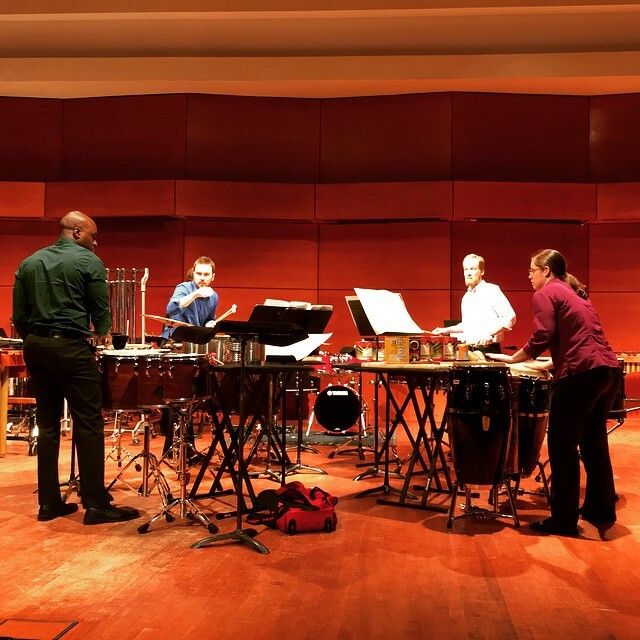 An avid promoter of educational instruction, Lamon has conducted clinics at the Mississippi and North Carolina Days of Percussion, multiple PASIC Conventions and states such as North Carolina, Mississippi, Texas and Virginia. Lamon is an endorsee of Pearl-Adams, Drum Dots, Remo Drumheads, Vic Firth Sticks, Zildjian Cymbals and a member of the Vic Firth Collegiate Educator Team. 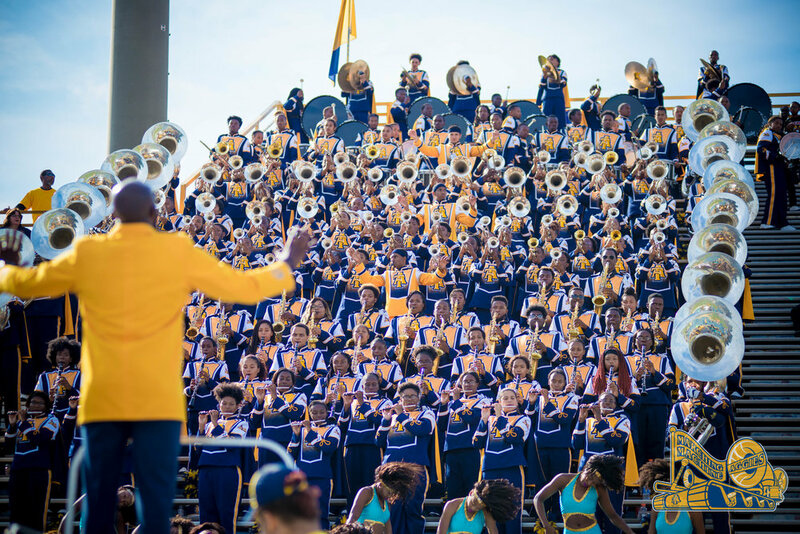 Currently, Lamon serves as Assistant Director of Bands at North Carolina A&T State University. His duties within the University Band Program include the coordination of all aspects of the University Band Percussion Ensembles in rehearsals and field instructions, including drumline and percussion ensembles. Lamon also teaches courses within the music department, conducts the Symphonic Band, oversees the BGMM Media Team and serves as recruitment coordinator. Previously, Lamon served as Percussion Instructor at North Carolina Central University where his duties within the Department of Music included the oversight of Marching Percussion, conducting the MSM Percussion Ensemble, and providing additional private lesson instruction. In 2010, NCCU was rated as one of the Top 10 Best Drumlines in College Football by bleacherreport.com. Lamon Lawhorn is a member of Phi Beta Sigma Fraternity, Inc., Phi Mu Alpha Sinfonia Fraternity of America, Inc. and Kappa Kappa Psi National Honorary Band Fraternity. He currently lives in Greensboro, North Carolina with his wife Sheena, daughter Kollyns, and their dog Pepper. I'm pleased to announce that I’ve officially joined the Zildjian family! After years of playing the cymbals exclusively, I’ve formally become a part of this amazing company professionally. Such amazing sounds and I’m thankful for this partnership! This past New Year’s Day, I had the opportunity of a life time to oversee the HBCU Mass Drumline comprised of 60 students from 7 Historically Black Colleges and Universities. To commemorate the 60th Anniversary of the American Honda Corporation, these students performed at the 130th Tournament of Roses Parade in Pasadena, California. As the grand opening float of the parade, the students performed “For the Love of Drums,” a cadence I composed for the event atop a celebratory “Cake” Float. The experience was truly humbling and I thank American Honda for trusting me to see this idea come to life.